Meet Canadians who want to see a leader like Trump in this country. Less than three months ago Donald J. Trump stunned the world with his surprise victory in the U.S. election. His victory has inspired some Canadian Conservative leadership contenders to position themselves as the "Trump of the North," hoping there's a significant portion of the electorate who support Trump's ideas — perhaps a segment of the population overlooked. The Current's producer Kristin Nelson set out to connect with Canadians cheering for Donald Trump to find out what's motivating them. The Craigen family own a beef farm in Newburgh, Ont., which they've had since 1982. Carl Craigen has been farming his whole life and both his sons, Darcy and James, do the same. Although older brother James has a white collar job in Ottawa, he still drives his truck back almost every weekend to help out. James shares why he thinks Trump got the votes he needed to win. "This guy made some incredibly off-colour remarks, a lot of character that maybe you wouldn't have seen in any other presidential candidate. But at the end of the day, people were willing to overlook all of that because here was a chance at somebody who wasn't an establishment politician, providing some real change," says James. "Put in the clown, is what it kind of came down to. It was a middle finger to the establishment class of corporate America." In 2003, when the U.S. slammed its doors on Canadian beef exports, the Craigens remember cattle prices crashing. 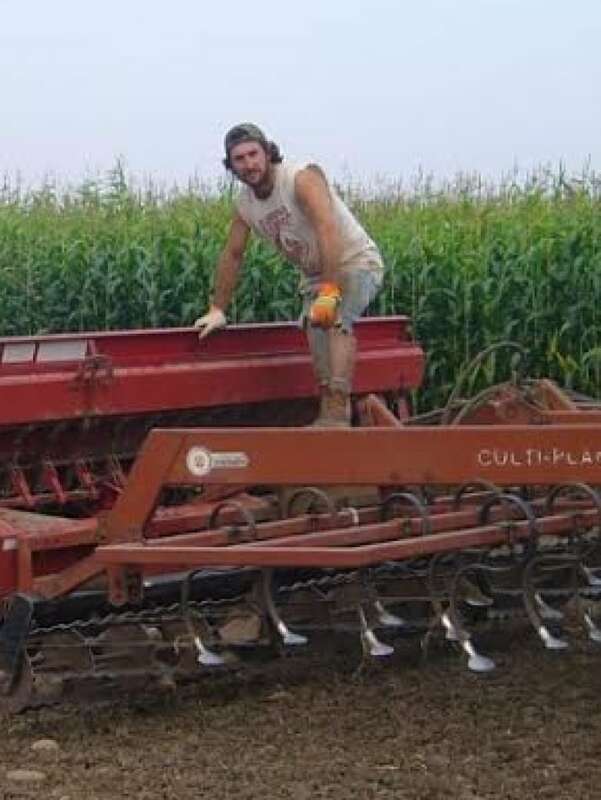 "What came out of that for us is that there's really no one looking out there for you," says James of the lessons they learned having to find off-farm jobs. "I mean this is an industry that's been largely decimated on the back of not really a whole lot of government intervention. Perhaps a lack of intervention is what has allowed this to continue and perhaps there's where a lot of the skepticism comes from." Moe comes from an immigrant family and doesn't buy the idea that Trump's election is evidence of a so-called "white-lash." "My parents came here with nothing, they worked their butts off to provide a life for us and for themselves," says Moe. "I think they instilled some good values in us. That in life you don't expect handouts, you work hard for what you want." It was the recent U.S. election that motivated Moe to get political and he now volunteers for Conservative leadership contender, Kellie Leitch. "Donald Trump's the one that really inspired me. My voice matters, so that's why I got involved." "There was screening back when my parents came to the country, but now we're just letting in people by the thousands into the country, without doing a proper interview or nothing. And a lot of them aren't contributing back." Although Moe is a person of colour, he doesn't worry that Trump may be appealing to people who hold racist views. "I attended a couple of rallies for Trump and I've seen black people, Hispanics, Natives, Indo-Americans. None of those people felt the racism. All those people aren't racist," Moe says. "This was a negative narrative created by the media and the other politicians." Meet Allen Lingenfelter from Waasis, N.B. Allen Lingenfelter and his wife moved to New Brunswick in 2014 where they have retired with their cat, Tekka. He's also a fan of Conservative leadership contender Kellie Leitch. "I think she's great. Everybody's comparing her to Trump, she's not Trump at all. I just think that myself, I will vote for anybody that puts Canada first," says Allen. "That's what happened in the States, the Americans voted for a person that wants to put America first." Allen says one of his primary concerns is immigration and he does not agree with Canada's refugee system in place. "I feel that if we say anything against it our government calls us names. I agree with immigration, I just don't agree with how they're doing it right now. And it seems to me that they come over here and they make demands of us, and all that kind of stuff, and we can't say 'Merry Christmas', we can't do this, we can't do that." "I may sound like an angry person. I'm not an angry person, I'm just fearful of my country." Listen the full segment at the top of this web post. This documentary was produced by Kristin Nelson and Josh Bloch. Thanks to Anne Penman in Vancouver and Joe McDonald in Fredericton for help with the recording. Thanks also to CBC's Ontario Today for the tape of callers.